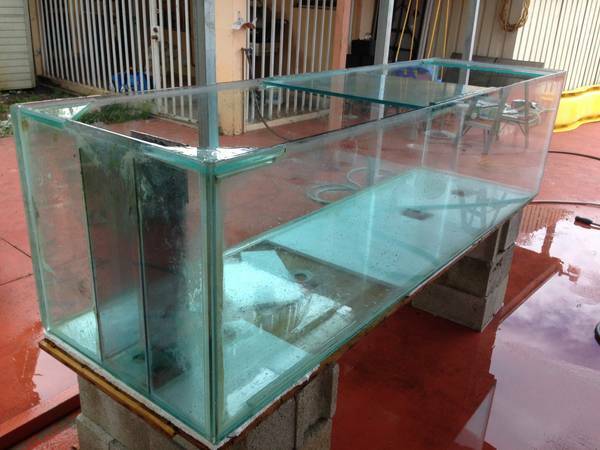 Saltwater Aquarium is 300 gallon or 320 size is 96″ lenght x 28″ deep 26″ tall also have a wet dry sump that is included in the price. Tank is all glass it can be used as a peninsula tank it has an overflow in one of the ends. Tank has four drilled holes in the bottom for closed loop system. Text me at 305879949one $1600 OBO for tank and sump in pic.